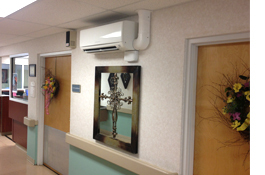 We offer a complete suite of HVAC Services suitable for a single facility or a nationwide portfolio. We are committed to excellence in performance through preventive maintenance programs tailored to meet your facility requirements. Our unique approach in developing proactive and comprehensive maintenance programs is a proven method in the reduction of untimely and costly mechanical failures. Vance Heating & Air offers HVAC Service programs which are designed not only to reduce breakdowns, but to lower operating costs, extend equipment life and protect your investment.